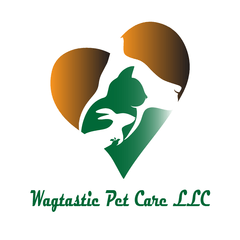 Wagtastic Pet Care provides first-rate pet sitting and dog walking in Boca Raton. We provide the highest level of care for all pets by creating an experience rooted in a genuine love of animals, professionalism and exceptional communication with our clients. Our number one goal is to make sure your pets are happy, loved, well taken care of and spoiled while you are traveling. A. We accept cash, checks and credit cards. Q. Are you comfortable with the use of cameras in my house? A. Absolutely! We encourage it. We realize that we are only with your pets part of the day and appreciate our client’s checking in on their pets when we are not there. Q.What happens if my pet becomes ill or injured? A. We try to take every possible measure to prevent this but in the rare event that this happens, we will take your pet to your own vet or the nearest animal hospital. At the same time, we will be contacting you. We will remain with your pet until you are reached and decide what action is to be taken. A. Yes, we need a signed contract that you allow us into your home to care for your pets. We will email you this paperwork in the consultation email prior to meeting with you and your pet(s) for the first time. We also collect important information we need in order to take the absolute best care of your pet in this paperwork. Q. Should I leave a gratuity? A. Gratuities are graciously accepted and very much appreciated. If you have question’s or would like to book pet sitting and dog walking in Boca Raton, please contact us today. Your pets will thank you.